King St. West and Portland St.
Pizzeria Libretto King St. West is located in Toronto, Ontario and specializes in serving Neapolitan style pizza. Pizzeria Libretto serves lunch and dinner daily and offers a takeout option. The restaurant's menu features an array of pizza and authentic Italian appetizers, salads and desserts. Our King St West location offers home made vegan cheese and has a dedicated celiac friendly oven for its amazing gluten free dough! It’s has been really a pleasure to have dinner in Libretto pizzeria. I came from the south of Italy, Naples, and Libretto cooked a pizza better than more pizzerias in Naples. The pizzas are usually delicious here. But the veggie ricotta was way too soggy. Never had such a soggy pizza before. Tiramisu and donuts were delicious. Service was good. Ambience was nice. Ill go back, but definitely ordering something else. Three of us had diner at Pizza Libretto on a Thursday night. Two of us had the pizza and one the meatballs. I was a little disappointed by my margherita pizza. Based on reviews I'd read I was expecting an authentic Naples delight. It ended up being quite average and nothing to write home about. The atmosphere was also average and quite noisy. However what made the evening great was the service. Our waiter was super friendly, efficient and fun. He seemed to know exactly when we needed service and when we just wanted to be left alone to chat. He also had no problem letting us linger and chat long after we'd finished our meals, despite how busy the restaurant was. Thanks to our server, despite the average food I would definitely go back! Lunch special is a great deal and really good value. Service was good, especially when it came to accommodating my friend and her baby. 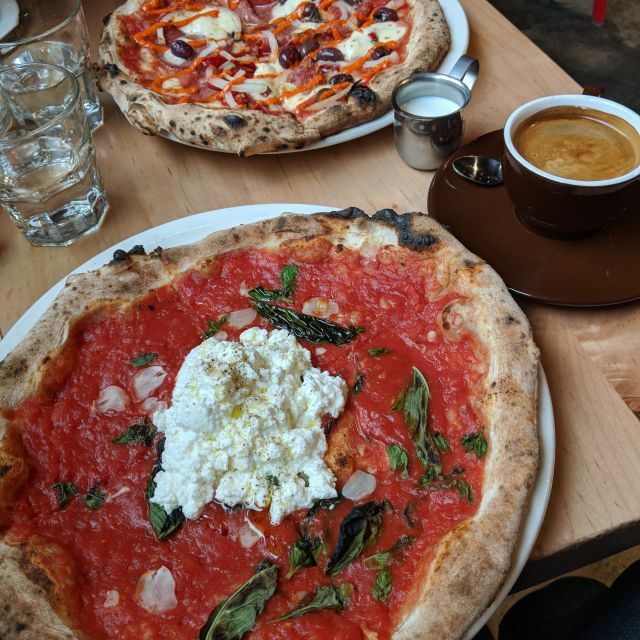 Pizza Libretto is one of my favourite pizza places on the city. I enjoy good food and drink, which are both offered at their locations. This was my first time at the King St. location. It is nice, but I prefer locations that are not sunken and have a bit more of an open feel. Great pizza. We're sensitive about gluten allergy. Couldn't have asked for a better evening and meal. Fantastic place. My niece and I were asolutely treated like royalty. It was her 21st birthday and she wanted pizza. I've been many times and know quality of food is excellent. Both the hosts and server were super attentive and thoughtful and made this dinner occasion very special. Thank you. Go for the gluten free crust...best I’ve found so far. Great gluten free and celiac friendly options at this location. they forgot drinks and an appetizer. Food was good but not the usual amazing. We will go back but I expect more from them, especially when spending $240 for 4 people. Nice atmosphere but pizza was just average. A little disappointing as we had high expectations. Fresh ingredients, great tastes, fast unobtrusive service. If you want an authentic pizza, this fits the bill. 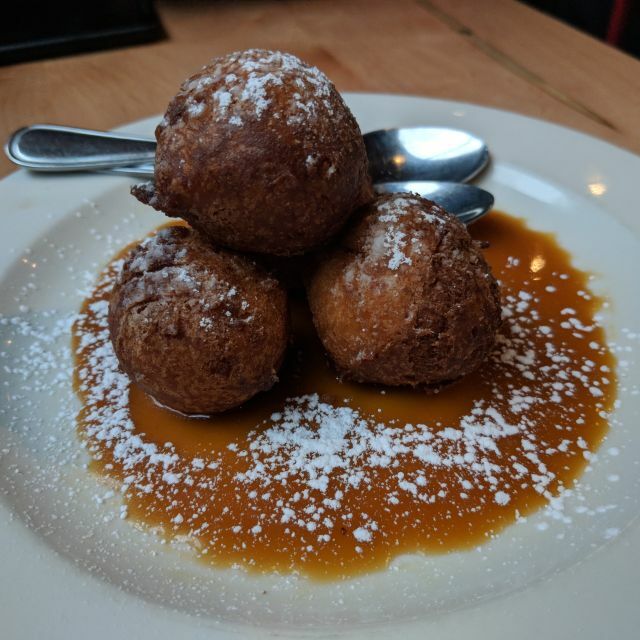 We ordered the 'Nduja pizza and the Italian doughnuts for dessert. Both were amazing! Highly recommend, to anyone in the mood for some great pizza. The staff were attentive, and welcoming as well. Best gluten free pizza I’ve ever had. I honestly didn’t believe it was gluten free. My husband and son has the normal pizza and said it was outstanding. I try a lot of gluten free pizzas, and I can honestly say this was the best gluten free crust by a mile....absolutely delicious!! I loved it so much, I bought 3 crusts to take home ie. thr ready made dough to make at home. I'll be back for more. If you must eat gluten free pizza, you need to go...you will not be disappointed.